WESTBOROUGH, Mass.--(BUSINESS WIRE)--eClinicalWorks®, a leader in healthcare IT solutions, announces that Advocare, LLC will transition from GE Centricity to the eClinicalWorks cloud-centric Electronic Health Record (EHR) and Revenue Cycle Management platform. Advocare has nearly 600 providers across 183 locations in New Jersey and Pennsylvania, representing pediatrics, adult primary care, and specialty practices. 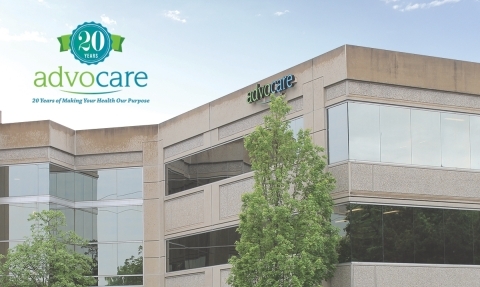 eClinicalWorks was selected because its technology best meets the needs of Advocare's multi-specialty and geographically diverse enterprise, promoting more efficient, accessible, and integrated patient care. Eva, the eClinicalWorks Virtual Assistant, improves usability and efficiency, letting users interact with eClinicalWorks technology in a conversational manner. V11 puts interoperability at the forefront of medical care. The days of laborious, point-to-point connections are over. eClinicalWorks customers can now self-activate for seamless integration with both CommonWell Health Alliance and Carequality. Through these connections, practitioners enjoy access to comprehensive patient data from any participating organization. eClinicalWorks V11 includes hundreds of new features for Revenue Cycle Management, including credentialing, patient insurance eligibility, collections, and analytics. healow TeleVisits leverages the power of the eClinicalWorks EHR to expand access to care by offering providers and patients greater efficiency while ensuring the highest standards of medical quality are met. Advocare, LLC (“Advocare”) is a physician-owned and physician governed multi-specialty medical group operating in New Jersey and the greater Philadelphia metropolitan region. Founded in 1998 as an alliance of 26 pediatricians in southern New Jersey, Advocare has grown to become widely recognized and highly respected as one of the region’s largest, independent, multi-specialty physician groups. With nearly 600 providers, Advocare serves approximately 590,000 patients at locations throughout New Jersey and Pennsylvania. Advocare physicians are regularly recognized among the region’s top doctors by New Jersey and Pennsylvania by both patients and consumer magazines. eClinicalWorks® is a privately held leader in healthcare IT solutions. With more than 130,000 physicians and nurse practitioners using its solutions, customers include ACOs, physician practices, hospitals, community health centers, departments of health, and convenient care clinics. During the past 10 years, 19 eClinicalWorks customers have received the prestigious HIMSS Davies Award, honoring excellence in Electronic Health Record implementation. The company is second largest in the country for e-prescribing. Based in Westborough, Mass., eClinicalWorks has additional offices in Austin, New York City, Chicago, California, Georgia, London, India, and Dubai. For more information, please visit www.eclinicalworks.com, Facebook, Twitter or call 866-888-6929.